Friday, July 13 @ 11:45 a.m. – 12:45 p.m.
Boasting more than 1 billion YouTube views to date, Annoying Orange is the Web sensation transformed into a new Cartoon Network television series that follows Orange and his buddies as they go on a wide range of adventures taking them from the fruit stand to parts unknown and everything in between. Join series creator Dane Boedigheimer ( Orange ), Toby Turner (Nerville) and others for a delightfully annoying time. Friday, July 13 @ 1:00 p.m. – 2:00 p.m.
Yeaaauuhhh! It’s Regular Show at Comic-Con 2012! Join series creator JG Quintel (Mordecai, High Five Ghost), Bill Salyers (Rigby), Sam Marin (Benson, Pops, Muscle Man) and others for an exclusive behind-the-scenes look at the comedy, drama and tomfoolery that make this Regular Show so jolly good. Come for the merrymaking, stay for songs, sneaks and surprises! Get ready for SDCC madness, while the past few game announcements have been pretty tame it’s hard to say this falls into the same category. Square Enix is touching down at the show with a massive plan for fans including searches, demos and more. Check out the release below for the full briefing. • HEROES OF RUIN™ – Available on July 17, HEROES OF RUIN challenges players to carve their own adventure as a Gunslinger, Alchitect, Vindicator or Savage. Pushing social and online interaction to the forefront of gameplay through innovative use of the Nintendo 3DS™ system, players can trade rare and powerful items through an in-game shop which has an inventory updated through creative use of StreetPass™. • KINGDOM HEARTS 3D [Dream Drop Distance] – Celebrating the franchise’s 10th anniversary, KINGDOM HEARTS 3D [Dream Drop Distance] features a spectacular story that promises to be a fun backdrop to the colorful cast of Disney characters making their 3D debut on a handheld title. In addition to brand new worlds, KINGDOM HEARTS 3D [Dream Drop Distance] will also feature never before seen gameplay elements and will be available on July 31. • Sleeping Dogs™ – Sleeping Dogs catapults players into the role of undercover cop Wei Shen, tasked with taking down one of the world’s most fearsome criminal organizations from the inside – the Hong Kong Triads. As players explore the bustling and crowded Hong Kong island, through its neon-lit side streets and sprawling street markets, an incredible story unfolds of loyalty and betrayal, where Wei begins to question his own motives as he is sucked in deeper than he could ever imagine. • HITMAN®: ABSOLUTION™ – HITMAN: ABSOLUTION follows Agent 47, a cold-blooded assassin, who takes on his most dangerous contract to date. Betrayed by those he once trusted — and now hunted by the police — he suddenly finds himself at the center of a dark conspiracy and must embark on a personal journey through a corrupt and twisted world. • TOMB RAIDER – Armed with only the raw instincts and physical ability to push beyond the limits of human endurance, TOMB RAIDER delivers an intense and gritty story into the origins of Lara Croft and her ascent from a frightened young woman to a hardened survivor. In an exclusive partnership with the Xbox 360® video game and entertainment system from Microsoft, Square Enix is a joint sponsor of The Nerd Machine’s Nerd HQ with TOMB RAIDER as the main event. TOMB RAIDER will be playable on more than 20 Xbox 360 units and will sponsor The Nerd Machine party on Friday, July 13. Thursday, July 12 9 a.m. – 12 a.m.; Friday, July 13 9 a.m. – 5 p.m.
Saturday, July 14 9 a.m. – 10 p.m.; Sunday, July 15 9 a.m. – 4 p.m.
Saturday, July 14 9:30 a.m. – 7 p.m.; Sunday, July 15 9:30 a.m. – 5 p.m.
Thursday – Saturday 11 a.m. – 11 p.m.
Thursday – Sunday 9 a.m. – 5 p.m. Nerd HQ: Block No 16 Union and Spirits, 344 7th Avenue – Saturday, July 14 at 12 p.m. – 2 p.m.
Zachary Levi (star of Chuck and Tangled and a long-time gamer) will host a special TOMB RAIDER panel at Nerd Machine’s San Diego Comic-Con headquarters, featuring Karl Stewart (TOMB RAIDER global brand director), John Stafford (narrative designer), Camilla Luddington (voice of Lara Croft) and the lead writer. All attendees will receive a TOMB RAIDER lithograph that can be signed after the panel. San Diego Convention Center, Room 5AB – Saturday, July 14 at 6 p.m. – 7p.m. Karl Stewart (TOMB RAIDER global brand director), Noah Hughes (creative director), John Stafford (narrative designer) and Camilla Luddington (voice of Lara Croft) discuss the journey of reimagining one of the most iconic franchises in video game history, TOMB RAIDER, through story, performance and a lot of planning! As a world exclusive for the Comic-Con panel the team will also be joined by the lead writer responsible for crafting the story over the last two years. Join the team for this Q&A session moderated by Geoff Keighley (host, Spike TV). All attendees will receive a TOMB RAIDER lithograph that can be signed after the panel. Along with the panels, Square Enix fans will have several opportunities to take home fun and unique items during the show. With contests, interactive activities and more, Comic-Con attendees will have multiple chances to win amazing prizes and collect Comic-Con only Square Enix merchandise. Upload your best photo sniping image to be entered for a chance to win a custom HITMAN: ABSOLUTION PlayStation®3 computer entertainment system. Runners up will receive miniature figures of Agent 47 and HITMAN themed ties and tie clips. Participants can upload their photo entries at hitman.com/photosnipe or by the photo sniping app on the HITMAN Facebook page. A special edition TOMB RAIDER themed Xbox 360 will be given out once a day at each of these locations: the Square Enix booth (3829), Nerd Machine HQ (344 7th Avenue) and at the GameSpot Gameroom area at Lou and Mickey’s restaurant (224 Fifth Avenue). Winners will be chosen each day of the show. Additional prizes will be given away daily Thursday through Saturday during the GameSpot Live Prize-Pow-Looza daily drawings at Lou and Mickey’s. Calling all cosplayers! Plan on dressing as gaming’s leading lady at Comic-Con? Meet up with other Lara Croft look-alikes in front of Lou and Mickey’s restaurant (224 Fifth Avenue) Sunday at 1 p.m. for an exclusive prize and photo opportunities. All Lara iterations are welcome at the event. The Sleeping Dogs team will be handing out exclusive Sleeping Dogs posters featuring Tyler Stout artwork and foam versions of the cleaver used in the game. Stop by the Square Enix booth to receive yours. Visit booth 3829 to get your Square Enix Members Passport card. Participants will receive a stamp for every title they play at the booth. Once the passport is complete, participants can turn in to receive a set of pins featuring custom logos from Square Enix titles and a special lanyard. The Square Enix booth will also feature the release of the limited edition Comic-Con exclusive BATMAN: ARKHAM ASYLUM™ PLAY ARTS -KAI- figurines. These limited edition figurines will be priced at $59.99 and will be available on July 12. The BATMAN [BLACK & WHITE EDITION]and the JOKER [BLACK & WHITE EDITION] are currently available for pre-order while supplies last. Finally the SQUARE ENIX MANGA STORE, the official online portal for more than 170 volumes of manga will be featured at the booth with popular titles FULLMETAL ALCHEMIST® and SOUL EATER available for purchase. Manga artist’s autographs and artwork will be on display along with a special exhibit of two manga titles, SOUL EATER NOT! and BLACK BUTLER. SOUL EATER NOT!, is a manga series released simultaneously in Japan and North America in conjunction with Yen Press and BLACK BUTLER is a popular manga series that has become an anime series in Japan. 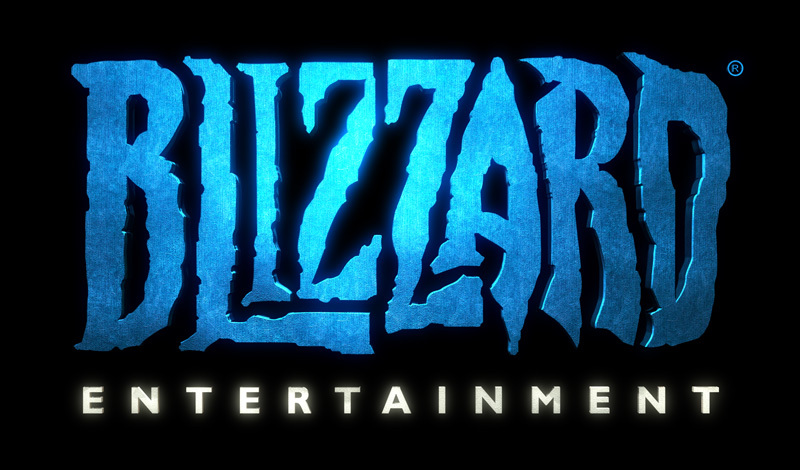 A rare treat for users, Blizzard is arriving on scene at Comic-Con this year to promote a huge array of goods from the company and even offer some signings for eager fans. Check out the full details below. Friday from 4-5:30 p.m. Saturday from 10-11:00 a.m.
Thursday from 7-8 p.m. Thursday from 4-5 p.m. Hot on the heels of Capcom we have Ubisoft announcing their plans for the show this year! AC3 will be available to play so get there on preview night or just super early and hope you avoid the extreme lines. Fans will be able to check out Assassin’s Creed III, the only title available at Ubisoft’s booth (#5345), from July 12–15 in the Exhibition hall of the San Diego Convention Center. Fans who pre-order Assassin’s Creed III will receive an exclusive Assassin’s Creed III T-shirt. Recently announced The Expendables 2 Videogame will be playable at the Lions Gate (#4035) and PlayStation® (#4237) booths. The Expendables 2 Videogame expands upon the universe featured in the action star–studded movies, where fans will have the opportunity to play as their favorite mercenaries – Barney Ross, Gunner Jensen, Hale Caesar and Yin Yang. Marvel Avengers Battle For Earth will be showcased at the Marvel booth (#2329). Fans will have the opportunity to unleash their inner superhero as they play as one of the 20 iconic Marvel superheroes and villains featured in the game, including The Hulk, Thor, Venom and Magneto. Additionally, Just Dance 4 will be in the Nintendo Gaming Lounge at the Marriott Hotel, located directly across from the Convention Center, from July 12–14. • Assassin’s Creed III will feature a live stage demo on Thursday, July 12, from 3:30-4:30 pm in Room 6BCF on the Upper Level. Creative Director Alex Hutchinson will present a live demo, as well as a detailed exploration of the Assassin’s Creed III Steelbook™, which was hand-drawn by respected comic book artist Alex Ross. Andrea Rene of Machinima will moderate. • Marvel Avengers Battle For Earth will be featured in the “Marvel Video Games” panel, which will be held in Room 6A from 1:45 – 2:45 pm on Saturday, July 14. Producer Pierre Leroux and Director Dan Vargas will unveil the brand new Comic-Con trailer and present gameplay from Marvel Avengers Battle For Earth. Fans will also be able to ask questions and discover more in-depth information about the upcoming release of Ubisoft’s Marvel Avengers video game. Going to Comic-Con this week? Capcom has tons of fun items in store for your SDCC weekend! Check out the press release below for all the details and we’ll see you guys at the show. Play the upcoming 2012/2013 line-up of games before they come out in stores! Playable demos include: DmC Devil May Cry, Lost Planet 3, Okami HD, Resident Evil 6, Street Fighter X Tekken (PS Vita) and more! Capcom producers and artists will be hosting signing sessions at various times during the show. The Capcom store will once again offer special merchandise and limited edition items, in addition to the ever popular Grab Bag filled with awesome Capcom goodies. There will also be additional special promotions, photo opps, and giveaways galore, so attendees are encouraged to visit the booth often. The Capcom-Unity team will be live streaming video from the show. Exclusive updates, behind-the-scenes looks and special guests are planned throughout the duration of the convention. Please visit the site at http://www.capcom-unity.com/ and check back often for the latest content.